Lots of kids grow up building elaborate structures with Legos, but SVEC Director of Engineering Kurt Miller never quite grew out of it. Instead, he found a job where he could build for a living. SVEC has made numerous improvements to its system in recent years to help increase reliability for members. For the last 23 years, his Lego set has been Suwannee Valley Electric’s system, and he has steadily worked to make it stronger and more reliable. Installation of automated restoration equipment is one of the most important building blocks for improving reliability. New equipment, such as automated switches, can help SVEC isolate outages to specific areas and restore power to some members within minutes. While the cooperative began installing this technology as far back as 2002, the real push to update the system began in 2017. SVEC has 55 automated switches on its system. By the end of the year, Miller hopes to have installed 20 more, hitting the goal set for the Engineering Department in 2017. Improving reliability isn’t always about the latest technology. Just as often, it’s a matter of making sure the equipment SVEC already has in place can function uninterrupted. Falling limbs from nearby trees cause most interruptions. That’s where the cooperative’s right of way crews come in, trimming back and cutting down branches that could knock out power for members. SVEC usually trims growth around each section of line once every four years. But over the last several years, crews have worked high-trouble areas on a three-year cycle to better clear lines. In some spots, even right of way clearing isn’t enough to solve the problem. When developing its most recent three-year plan, the Engineering Department identified the 20 worst-per-forming line sections over the previous three years. 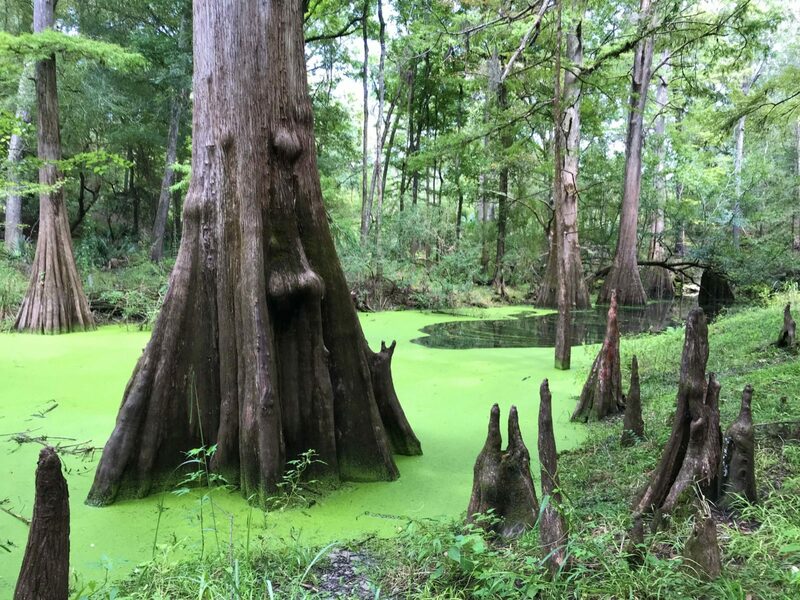 Miller and his team are working to have five of those problematic lines moved from heavily forested areas to road sides by the end of the year. Once completed, the relocations will mean members face less time without power each year. SVEC is even exploring new ways to inspect its electric system and find potential weaknesses before they cause an outage. While inspecting the top of an electric pole used to require sending out a crew with a bucket truck, today one employee can snap a picture of the pole using a drone. The cooperative has two drone operators, both in the Engineering Department, certified by the FAA. 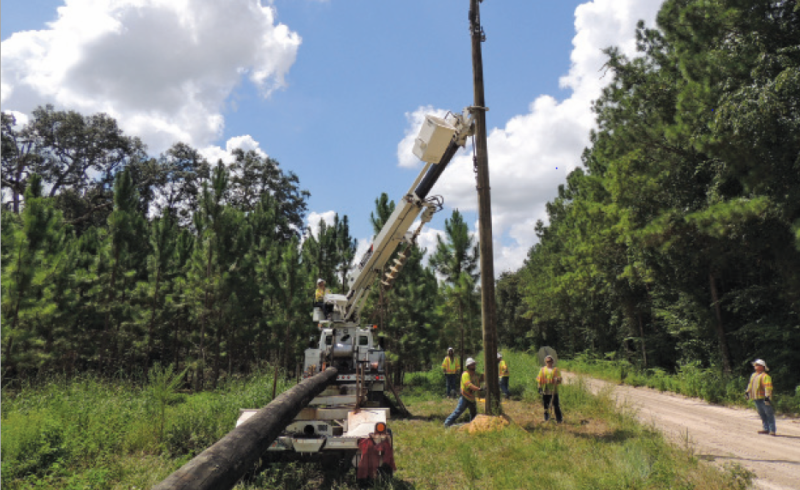 SVEC recently put them to work confirming a contractor’s recommendation to replace some aging poles. 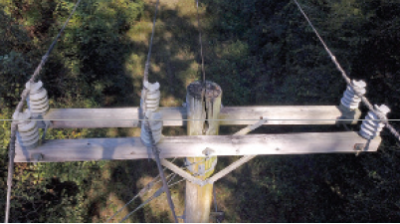 The drone, dubbed SVEC One, was able to get high-resolution photos of poles in need of examination by SVEC’s operations and engineering professionals. All that work to make sure SVEC’s system can withstand out-ages has shown positive results over the last few years. 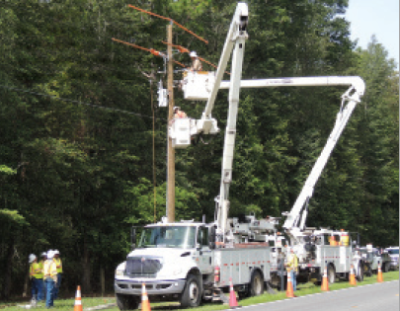 Each year, the cooperative tracks the amount of time the average member has been without power. Excluding major storms, during which some outages can’t be helped, outage time has steadily decreased each year since 2014. For Miller, that means his Lego set is better than ever, and he has a great group of people with whom he can continue building. SVEC has begun using new technology such as drones to help inspect and find rotting poles on the system.